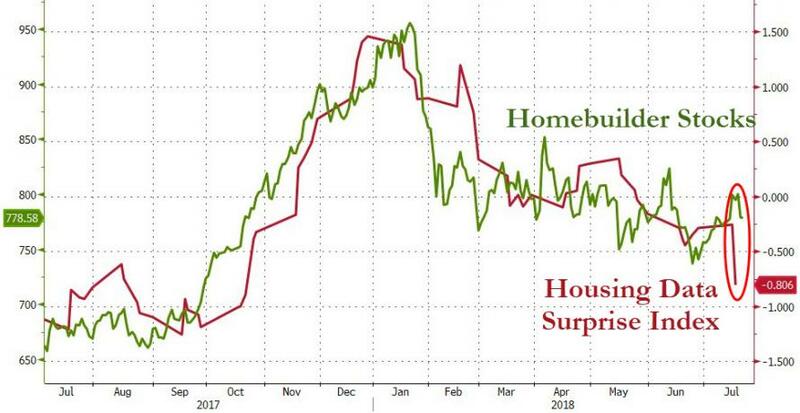 Following last month's disappointing starts/permits data and home sales prints, hope was high for a June rebound but they are gravely disappointed. 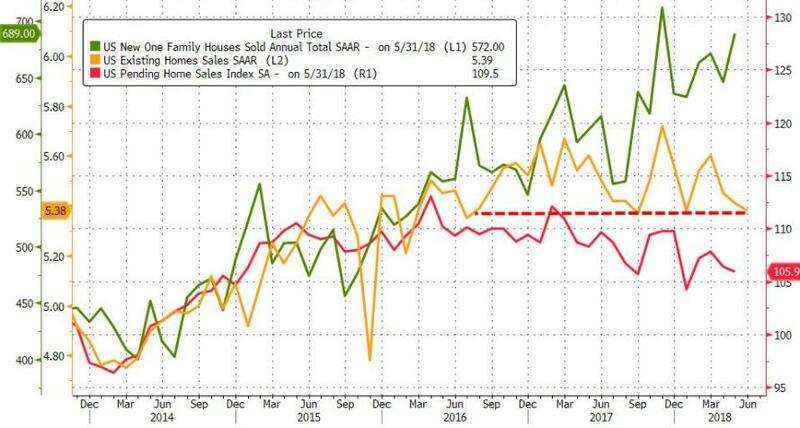 Existing home sales tumbled 0.6% MoM (vs expectations of a 0.2% rise) and even worse, it's off a downwardly revised May print of 0.7% MoM, with median home price hitting a record high $276k. Lawrence Yun, NAR chief economist, says closings inched backwards in June and fell on an annual basis for the fourth straight month. 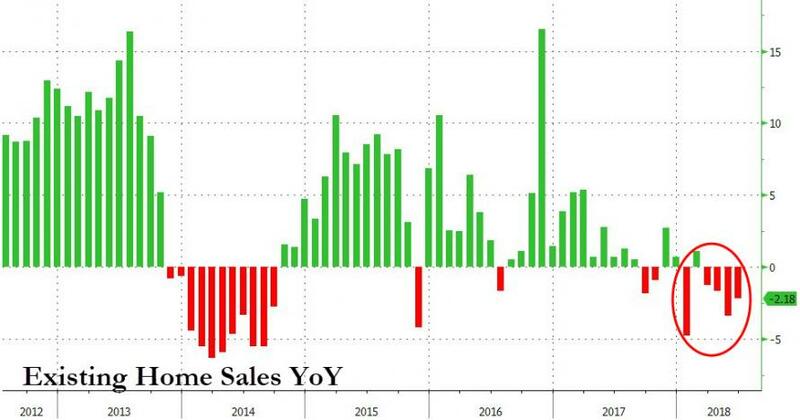 “There continues to be a mismatch since the spring between the growing level of homebuyer demand in most of the country in relation to the actual pace of home sales, which are declining,” he said. The median existing-home price for all housing types in June was $276,900, surpassing last month as the new all-time high and up 5.2% from June 2017 ($263,300). 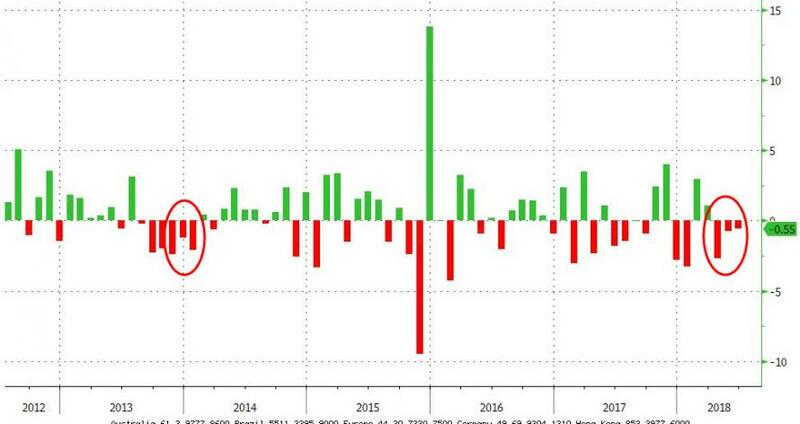 June’s price increase marks the 76th straight month of year-over-year gains.